Physical pain is something that I cannot bear and deliberately inflicting pain upon yourself (eg. tattooing, piercing, etc. ) is beyond my comprehension. So when I saw one of my best frainger’s tattooed arm, I was a bit shaken. I couldn’t understand why she would do this. Then I got the context. She had joined another mooc, #ds106. It was only a temporary tattoo but I was hooked. It made a big impression on me as it was supposed to. With this post, I am initiating myself and joining the cult with Ary and other fraingers. Take a picture of an indentation! I created this image online using the site http://pixlr.com/ It’s a free image editing tool. You do not have to register to use it. Just upload the image you want to edit and start creating. It’s simple enough to use, much like MS Paint but it also has some advanced features of Photoshop. Do explore. “Make ART damn it” every single day of my life for the rest of my life! Thanks again to Ary, I was inspired by her tattoo! Pixrl: To lose my head in the above above and add text. Gifmaker: Just add images in the sequence you want and click done! It was that easy. Computerhope.com: Download the YouTube videos that I wanted to edit. Thanks Ary for inspiring me with your tattoo and enthusiasm. Frainge Days indeed! Categories: #ds106 | Tags: creativity, dailycreate, digital storytelling, digital tools, ds106, fraingers, gif | Permalink. Eerily inspiring! 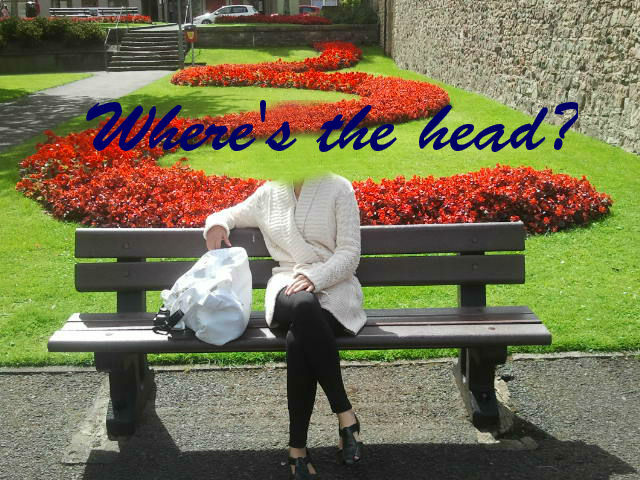 I’m a bit slow this week since I really didn’t decide to join #ds106 until yesterday, but decided to explore what it means to be a head since you can’t be headless without one.